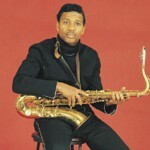 November 23, 1995 Autry DeWalt Mixon, Jr. (Junior Walker), saxophonist and bandleader, died. Walker was born June 14, 1931 in Blytheville, Arkansas but grew up in South Bend, Indiana. In the mid-1950s, he started a band called the Jumping Jacks. In 1961, the band signed with Motown Records and their name was changed to Jr. Walker & The All Stars. Their first hit, “Shotgun,” was written by Walker and was number one on the R&B charts in 1965. This was followed by such hits as “Shake and Fingerpop” (1965), “(I’m A) Road Runner” (1966), and “What Does It Take (To Win Your Love)” (1969). Walker went solo in 1979, but was not as successful as he had been with the All Stars.